But what many people don’t think about, especially when used in racing or rally applications, is that the small lenses of LED lightbars can’t focus a tight pattern and project a lot of lumens out past 500 yards. Sure they are super bright when your buddy stands in front of it, but how good is it on a back road and you are hauling the mail so to speak. First problem is that an LED projects in every direction, including UP. Doesn’t sound like a problem sitting in a parking lot showing off to your buddies, but out on the open road, cheap LED’s tend to light up the trees and worse, if there is DUST or FOG or SNOW, they light all that up above the hood line. That means it all reflects back in your eyes while driving. You see, a cheap LED has no “cut off line” like your headlights or other, large, lensed lamp will do. You won’t be able to use if even a touch of dust or fog above the road. 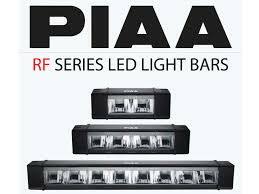 That is why we tend to gravitate towards PIAA’s RF technology. 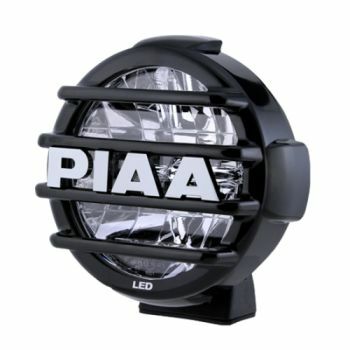 They actually shoot the LED light backwards (not forward facing) into a lens that focuses the light better, so it reaches farther and has a cut off line. 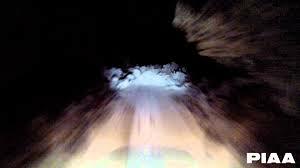 Way less light reflected into your eyes and it projects farther down the road and in a tighter beam.